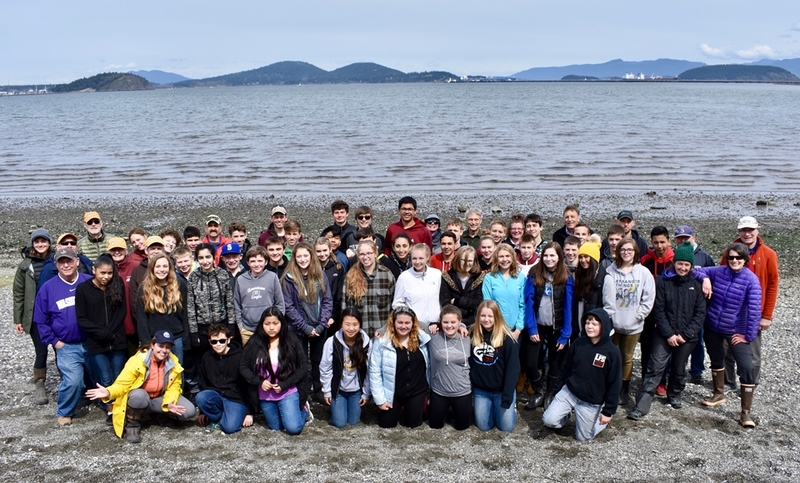 2019 Salish Sea Stewards Training is Now Underway! 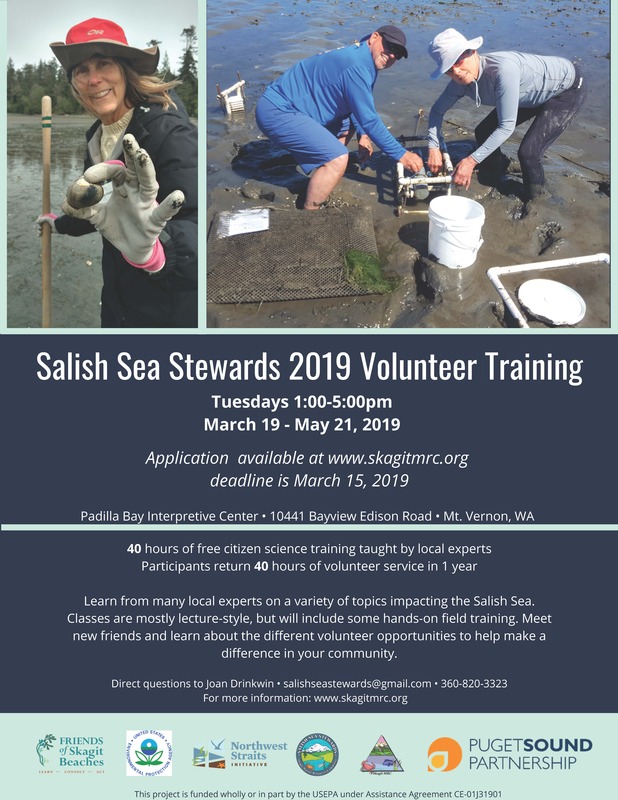 The Salish Sea Stewards volunteer training program consists of approximately 40 hours of free classes taught by many local experts on a variety of topics impacting the Salish Sea. In return, participants pledge to give back 40 hours of volunteer services. Classes are mostly lecture-style, but also include some hands-on field training. It is a wonderful opportunity to meet new friends and learn about the different volunteer opportunities to help make a difference in your community. Classes are held every Tuesday starting March 19 - May 21, 2019 from 1:00pm to 5:00pm at the Padilla Bay Reserve, 10441 Bayview-Edison Road, Mount Vernon. If you would like to find out about upcoming volunteer opportunities, special events, lectures, etc., subscribe to the Salish Sea Stewards electronic news bulletin, The Wave, by clicking here. Click here to subscribe to the Northwest Straits Commission's monthly electronic newsletter to stay informed of the goings-on of the Commission and the seven MRCs. Or Check out the Northwest Straits Commission Calendar here. Click here to subscribe to the Northwest Straits Foundation's newsletter. View past issues here. Join the Friends of Skagit Beaches for an evening of discovery on April 12 "Plankton of the Land: Mosses, Lichens, and Fungi in the Pacific Northwest Forests" by Kem Luther PhD. Free to all ages. 7pm-8:30pm, NWESD Bldg, 1601 R Ave, Anacortes. The Skagit Conservation District is seeking volunteers to help with monitoring marine biotoxins at local shellfish harvesting beaches. Training dates: 4/9/19 from 1-4pm and 4/11/19 from 2:45-4:15pm. Register by April 4: kristi@skagitcd.org.